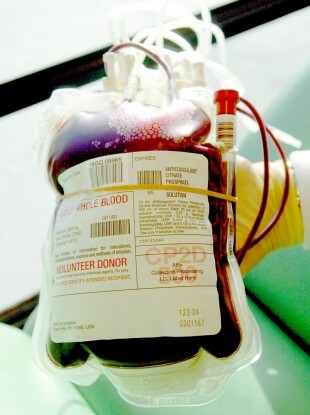 Blood Transfusion Service finding it difficult to retain staff for specialised job with anti-social hours. A VITAL SERVICE currently being provided by the Irish Blood Transfusion Service (IBTS) will be cancelled in the coming months. According to a report by June Shannon in the Medical Independent today, the outreach therapeutic apheresis service will not continue because of “a difficulty in retaining staff”. The on-call part of that service ended last November. The Mater Hospital has established its own therapeutic apheresis service (a clinical treatment, using blood platelets, of autoimmune diseases and blood disorders.) However, St Vincent’s, Tallaght, Beaumont and St James’s hospitals had also benefitted from the service in the past. The issue, according to the IBTS, is that the speciality of the training for staff in the service and the anti-social hours involved meant they were finding it difficult to recruit and retain enough employees in that sector. Email “Blood platelet service to be cancelled due to staff shortage”. Feedback on “Blood platelet service to be cancelled due to staff shortage”.